WASHINGTON (Sputnik) - The United States will not recognize any possible talks between North Korea and South Korea unless the talks result in the ban of all nuclear weapons on the Korean Peninsula, US Envoy to the United Nations Nikki Haley said on Tuesday. "North Korea can talk to anyone they want, but the United States is not going to recognize it or acknowledge it until they agree to ban the nuclear weapons that they have," Haley told reporters. Moreover, the United States will initiate additional measures against Pyongyang If DPRK conducts another ballistic missile test, US Envoy to the UN warned during a press briefing on Tuesday. "As we hear reports that North Korea might be preparing for another missile test, I hope that does not happen, but if it does we must bring even more measures to bear on the North Korean regime," Haley said. In addition, Washington remains skeptical about the prospects of any talks between North Korea and South Korea and is unlikely to play any role in bilateral dialogue between the two countries, State Department spokesperson Heather Nauert said on Tuesday. "We are very skeptical of Kim Jong Un's sincerity of sitting down and having talks," Nauert told reporters in a press briefing. When asked whether the United States would play a role in any dialogue, Nauert said: "I highly doubt it." However, UN Secretary-General Antonio Guterres is hopeful that talks between South Korea and DPRK regarding the latter’s participation in the 2018 Winter Olympics next month will lead to peace on the Korean Peninsula, UN Deputy Spokesman Farhan Haq said during a press briefing on Tuesday. "The Secretary-General hopes such engagement will contribute to the resumption of sincere dialogue leading to sustainable peace and denuclearization on the Korean Peninsula," Haq said. North Korean leader Kim Jong Un said in his New Year Day’s address that Pyongyang is ready to send its athletes to 2018 Winter Olympics in Pyeongchang, South Korea, and expressed readiness to start talks with Seoul on the issue. Seoul has proposed, in turn, holding high-level talks on January 9 in Panmunjom Village in the demilitarized zone between North Korea and South Korea. South Korea's Unification Minister Cho Myoung-gyon suggested such talks take place after North Korean leader Kim Jong Un expressed hope his country's athletes would participate in the 2018 Winter Olympic Games in South Korea this February. Last month, South Korean President Moon Jae-in said the United States and South Korea were considering the possibility of halting military exercises to reduce tensions before the Olympic games. 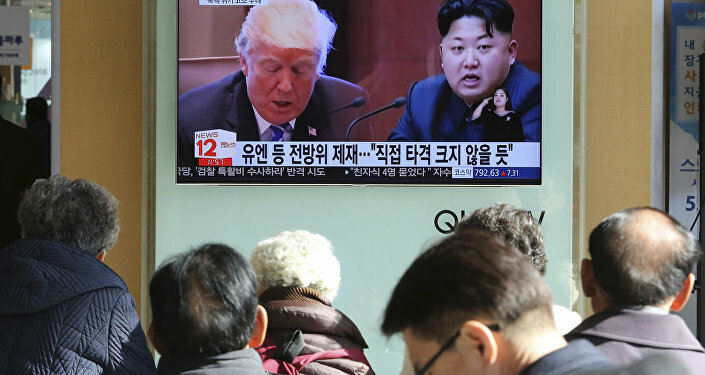 The relationship between the two countries has been particularly strained over the last 12 months due to DPRK’s ongoing nuclear and ballistic missile tests.